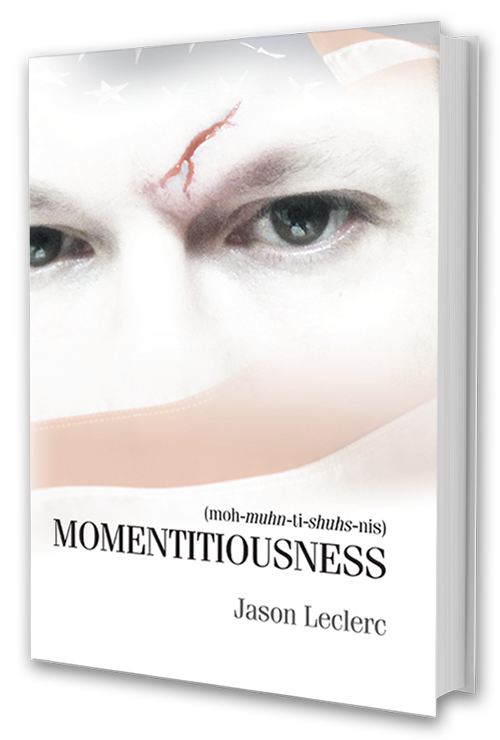 MMTN: We are here with Jason Leclerc, author of the new book Momentitiousness. You may know him as the PoetEconomist from his poetry blog of the same name. Like many authors, he is scrambling to get noticed in a twenty four hour news cycle that is increasingly fueled by intersections between the real world and the digital spaces proliferating the internet. In a way, he is depending on old-media content, but in another way, he is trying to undermine medium, genre, and form. Jason Leclerc, thanks for taking the time to sit with us for a few minutes. JL: Are you kidding? Thanks for having me! MMTN: Who are you? I don’t mean that in a condescending way, but what makes you think you have something that the world wants to read? JL: You know, I’ve been asking myself the same thing for a few years now, ever since I decided to publish this work. Really, I’m just a poet. MMTN: “Just a poet”? We can unpack that statement later, but why aren’t you publishing a collection of poetry? JL: That happens later. 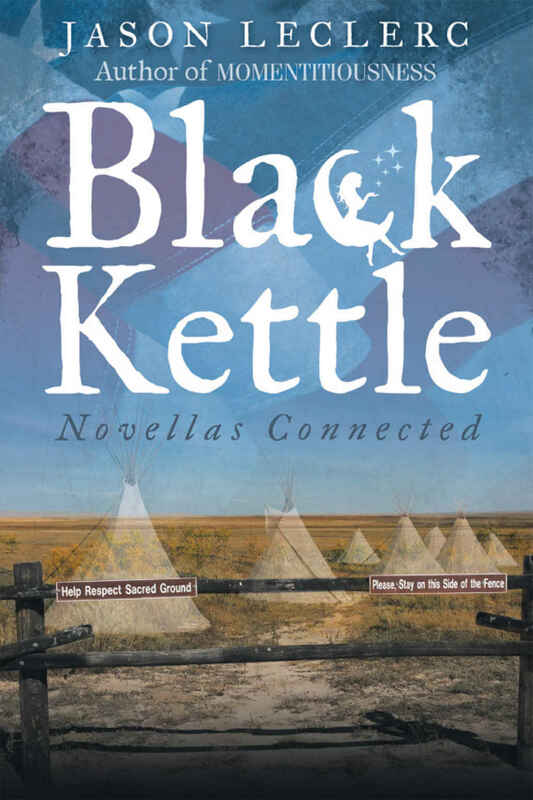 This book took form and started asserting itself too quickly and with too much intensity for me to ignore it. Poetry is my love, it is my voice. Momentitiousness is my calling, my obsession. MMTN: What do you mean? You talk as though you had no choice but to write it. JL: That’s almost right. I had been publishing my poetry online under the PoetEconomist avatar for a few years. My intention was always—and still is—to give that digital space a traditional form, but when I dropped out of my PhD program, I had this giant looming project that I had to complete. MMTN: Let’s talk about that for a second. So, you were in a PhD program, how far did you get? JL: I’m what you call, “ABD, all but dissertation.” I even had a committee coming together. The work I was doing in an interdisciplinary program housed in the English Department called “Texts and Technology” at University of Central Florida was interrupted by the “Great Recession.” Maybe that’s a copout, maybe I was just overwhelmed, but the story I tell myself is that school was a luxury good that I could no longer afford when the economy took a crap. I had to find a paying job and I just didn’t have time anymore. I was so embarrassed; I fell off the face of the academic world. I know I disappointed a lot of people who put a lot of faith in me. MMTN: “Story” seems an appropriate creation for you. You’re certainly not the only person to have had a hard time in the last decade. JL: I’m not sure how much better that makes me feel. MMTN: So, you quit school. JL: I guess you can call it quitting, hearing that isn’t so easy, but you’re right. I quit. But I still had this fire in my belly. I got a full time job. Lots and lots of travel. Stayed afloat, no time or money for the extras like school. JL: OK, we got it. Next question. MMTN: And you kept writing your poetry, but somehow, despite all the success you had with that, you decided to write a book of short stories. Why? MMTN: “Semiotic arbitrage”? I’ve never heard that phrase. JL: That’s because I made it. During my PhD work, I developed “Semiotic Arbitrage” as a critical method designed to open up cultural understanding by recognizing that we all encounter events with pre-existing conditions and from different perspectives. It is meant to uncover the multiplicity of truth by shattering the illusion that “truth” is unitary. JL: I think there was a time when that might have been correct. In the age when science and religion opposed each other, each vying for ownership of truth. I think what I’m trying to say is that truth isn’t absolute, it’s something approached asymptotally. It’s sought, and in that seeking we discover beauty. That beauty resembles truth. But then, not to get too Kantian here, that beauty is perceived individually. So the sum of individual beauties become the sublime…this sublime is really truth, but it isn’t unitary. It’s fractalized. It’s the sum of the deviations from the average. JL: Yes. Kantian, as in Immanuel Kant. And as to the other words, that’s probably true. MMTN: As an author, can’t you use words that actually exist? Do you not have enough respect for language to do that? JL: Wow. That’s twice now. I guess you’re not here to cut me slack. MMTN: I’ve read that you are a conservative. It seems odd that someone who describes himself as such would be willing to throw so many conventions out the window. Some might call that hypocritical. JL: I just call it open-minded. If I was arrogant, I’d call it innovative. Where do new technologies come from? People who are satisfied with the way things are or from people who imagine a different world? MMTN: So, words are a technology? JL: Totally! Was mankind created with the entire vocabulary we have today? MMTN: I’m not here to argue. JL: We could, but I’ve got a feeling we could spend a semester’s worth of time, and I’d like to get to Momentitiousness at some point in our discussion. MMTN: Fair enough. So, this “Semiotic Arbitrage,” is a technology? JL: The phrase is, in that it’s new. The theory is, in that it’s new. What it is, though, when you think about it, is pretty intuitive. JL: Yes, another new word. MMTN: So, Momentitiousness is related to “Semiotic Arbitrage” how, exactly? JL: I was supposed to write a dissertation developing the theory and method. Instead, I wrote Momentitiousness as an example of how the theory and method can appear in practice. MMTN: I’m still not sure I understand what “Semiotic Arbitrage” is, exactly. Have you told me? JL: No, I haven’t. So, here it is. You’ll have to stick with me here. Think threes. Semiotics is a kind of science of words and symbols that join three things together. A classic example is a chair. We all know what is a chair is. MMTN: Any special kind of chair? JL: Not yet. I’ll let you extend the metaphor to La-Z-Boys on your own, later. JL: We know what a chair is. It’s a four-legged structure that we sit on. MMTN: With you so far. JL: Then there is what this thing stands for. Chair: a structure for sitting…it represents an idea of what a chair is. So we have this physical thing that conjures ideas of things like what it means to sit…to not stand…to relax…to relax while working…and so on. MMTN: OK. The thing and then the thing’s meaning. JL: But then, what do we have when there is no chair before us? How do we bring about the ideas of what a chair is without having the actual chair before us? JL: YES!!! Threes: the thing, what the thing represents, and what represents the thing. In semiotics, we use the terms “Sign”, “Signifier”, and “Signified”. MMTN: Sign, Signifier, Signified. Three. OK, I’ve got semiotics, I think. We can talk about recliners later. Arbitrage now? JL: Arbitrage is a little easier. Still think threes, although it can be far more complicated. When we’re done, you can sit in your recliner and let your mind wander around the complications. JL: Classically: You have five Canadian dollars—I love that they are also known as “Loonies”–which you can buy four American Dollars with. I have four American dollars that I can buy three Euros with. Our friend Pierre has three Euros that he can buy six Canadian dollars with. Through trade, and not by anything else but knowledge, you can end up with six Canadian dollars. JL: That’s it. Profit through tripartite (or multipartite) trade. MMTN: Well, that’s not rocket science. Maybe I should say it’s not bundled-mortgage-backed securities? JL: Loonie. Now, of course, the profitable gap in information is rapidly closed, especially as the time between trades and the proliferation of information through technology shortens. MMTN: So arbitrage is fleeting. JL: But a powerful metaphor, nonetheless. So, now overlay that trade metaphor on top of semiotics. MMTN: Wow. I don’t know whether to punch you or hug you. This has some pretty cool implications…I think. Is there anything practical that comes of this? Policy implications? Truly tangible? JL: I call it “cultural profit.” Those gaps between the sign, signifier and signified—think about a recliner instead of a stool, both chairs—produce hugely interesting opportunities to understand the world around us. How we sit and ponder, whether it’s a leisurely activity or one that requires us to work. MMTN: I think I will need a beer to make this rabbit hole palatable. JL: I prefer to think of it in terms of gravity and black holes. MMTN: Where do these cultural profits go? Who are the beneficiaries? JL: Many of them go unrecognized. They are fleeting. It’s the job of the semiotic arbitrageur—the artist in the digital age—to identify them. Because, remember, there is this tendency for the information gap to be traded away very quickly. That’s where traditional narrative comes from: the average story, pushed forward by a predestined ending. MMTN: So this is our in to Momentitiousness? JL: Exactly. So let me say it this way, to get it out because I’ve been practicing this word track for a while. “Semiotic Arbitrage” is a critical method that overlays the tripartite imperfections exposed during a semiotic methodology with the metaphor of trade-based arbitrage. MMTN: I can see these systems working together nicely, although I’m not sure how one is a method and one is a metaphor. JL: Think of it, then, as a system–what academics in my field might call a heuristic–for approaching the truth, it bares the inconsistencies in traditional narrative—history and literature—by positing that those inconsistencies yield a richer understanding of multiple truths in trade. MMTN: Those asymptotes, again? Approaching truth but never actually achieving it? JL: In the time-space continuum, Semiotic Arbitrage deposits cultural profits, derived from the error coefficients along the least-squares line, into vast and fluid— universal—banks. JL: So, if you imagine that all of history is a collection of moments that are pulled together in a single line–a single story that smooths out the wrinkles of other perspectives–then imagine that the line is exploded out into its constituent parts, then you have a much richer understanding of history. Certainly more interesting. MMTN: So, in practical terms? JL: If we read the New York Times, we get one view of a story. If we read the Wall Street Journal, we get another. If we listen to cultural phenomena play out in pop music, we get yet another. None is wholly right in and of itself. Each story has its version of the truth–even if it’s nothing more than through omission and inclusion–which is valuable. MMTN: That’s reasonable. And, you’re right, pretty obvious. Is this really groundbreaking? JL: I admitted earlier that it was intuitive. So, we might say that the most perfect expression of this method is to concentrate on every possible interpretation of a moment. Of course, then we know nothing else, ever. A black hole. MMTN: Yes, I was just about to say, “a black hole.” So what you’re saying is that Momentitiousness employs this metaphor, “Semiotic Arbitrage”? JL: It employs the metaphor as a method. MMTN: I guess you can parse words. JL: Better than making them up. MMTN: Touché. So Semiotic Arbitrage is a method used to derive this book. JL: Yes. Sounds like you got it. Should we stop here? MMTN: Well, I feel like we have finally arrived at the starting point. JL: I’m going to need a more comfortable chair.